Safari Zimbabwe trip reports and reviews, written and photographed by people who have already been on Zimbabwe safaris will provide you with an informed and unbiased opinions about their trips. You might also pick up some tips and advice that you won't find anywhere else. And it will probably save you some money too. You can find out where the best wildlife spotting locations are, what the accommodation is like, quality of the food, knowledge of the guides, what to take with and answers to many of the questions you may have about an experience like this. And probably some answers to questions you haven't even thought of yet. 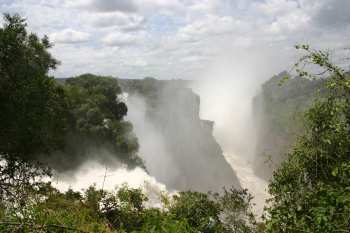 One of the world's great attractions, the Victoria Falls plummets over 100 metres into the Zambezi gorge at a staggering rate of about five million cubic metres per minute during the flood season. Take your raincoat, because you will get soaked to the skin by great swathes of spray flung from the torrent of water thundering over the falls. The wildlife around the Victoria Falls is limited to bushbuck and baboon so tame you virtually have to walk over them to get along the footpath. But this paucity of game is more than made up for by the awesome spectacle of the Falls. 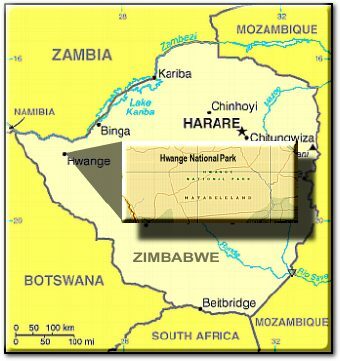 The Hwange Park, spread across 14650 sq kilometres, is one of Zimbabwe's finest reserves. There is a fair amount of wildlife to be spotted here and the best places to find them are around the water holes which are pumped with petrol-powered compressors. So what can you see? Vast herds of antelope, zebra, buffalo, elephant and baboon. Harder to spot are the predators: lion, leopard, cheetah, hyena, jackal and wild dog. Although you will find giraffe, zebra and as the name suggests, various species of antelope in this park, its claim to fame is the activities on offer. It is most well known for the opportunity to walk with lions and swim with elephants. Other options are game viewing on horseback, foot or vehicle; fishing, boating, sundowner cruises, gliding and polo crossing. 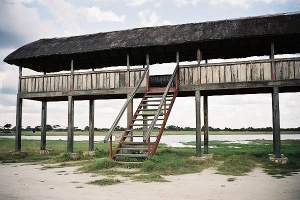 Declared a World Heritage Site in 1984, this remote park in the far north of Zimbabwe is located right on the mighty Zambezi River (Zambia's Lower Zambezi Park being on the other bank). It's one of the very few (if not the only) parks where you can do self-guided hikes among big (and dangerous!) game. For the less brave but equally adventurous, take a guided walk or canoe trip and enjoy the stunning untouched nature and plentiful wildlife and fantastic bird life. 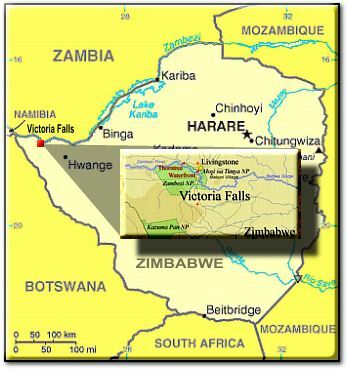 All in all, a fantastic safari Zimbabwe location.